SIBs having fun and learning at the same time. The Autism Society of Wisconsin and P.A.T.H. of Door County, in partnership with WisconSibs, hosted a Sibshop at the Boys and Girls Club of Door County on Saturday, January 14. This Sibshop was a special event designed for kids ages 6-12 whose brothers or sisters have autism. The morning was filled with fun interactive activities combining recreation, learning, discussion, and peer support. The Sibshop facilitator & helper, our very own Jamie Olson guided the sibs through opportunities to celebrate the contributions and the challenges the have with their brother/sister with autism. We hope your little ones had some fun and maybe made a new friend or two! One of our seven successful bike riders! Summer of 2016, PATH contracted with iCan Shine, an international charitable nonprofit organization to bring their iCan Bike Camp to Door County. Seven children, ranging in age from 8-16, attended a 5 day bike camp designed to teach children with disabilities to ride their two wheeled bike independently. The camp utilized adaptive equipment to help build the strength and confidence our riders needed to be successful. Many tears were shed (by the parents and spotters) as each of our campers found their own success. It was an amazing experience for everyone involved. "You have to stretch them." In the spring of 2015 PATH was able to bring Dr. Temple Grandin to Door County to speak to educators, families, and the general public about her journey and offer a glimpse into the world of autism. 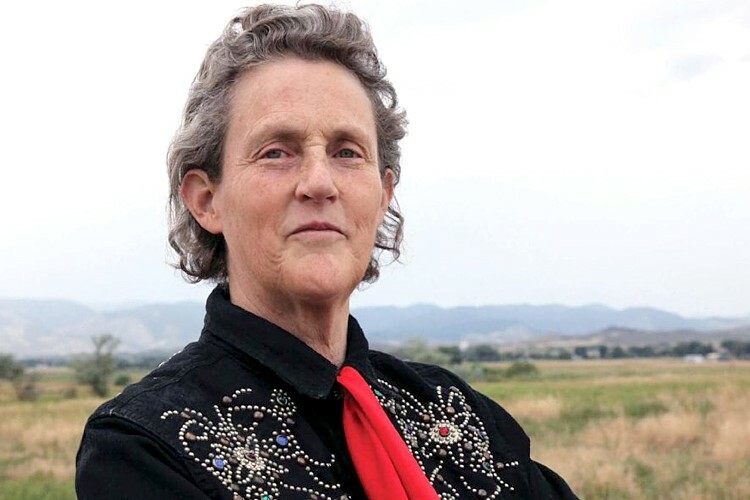 Mary Temple Grandin (born August 29, 1947) is an American professor of animal science at Colorado State University with autism, world-renowned autism spokesperson and consultant to the livestock industry on animal behavior. She is widely celebrated as one of the first individuals on the autism spectrum to publicly share insights from her personal experience of autism. She is also the inventor of the "hug box", a device to calm those on the autism spectrum. In the 2010 Time 100, an annual list of the one hundred most influential people in the world, she was named in the "Heroes" category. She was the subject of the award-winning, semi-biographical film, Temple Grandin.